Now that you have some time on your hands this summer, why not get creative and make something? So, what can be intriguing enough to motivate you? 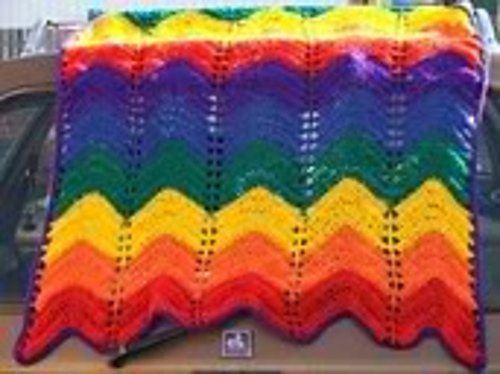 Well, here’s an idea let’s make an Afghan! Okay, you are wondering what Afghan is, right? Don’t worry you have seen it a number of times since your grandmother’s home or in your mom’s closet, but you actually never knew its real name. You know it as a ‘throw’. 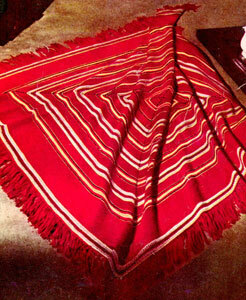 Afghans are knitted or crocheted blankets made of wool. Yes, they are those colorful blankets with beautiful patterns that you have seen thrown over a rocking or a sofa chair. Afghans are generally hand knitted by a family member and it is then passed on generations after generations as a family heirloom. So, why not create a memory of your own and pass it on for generations to come like a keepsake? 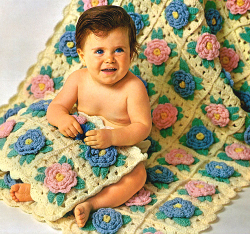 Are you thinking, how I crochet afghan? 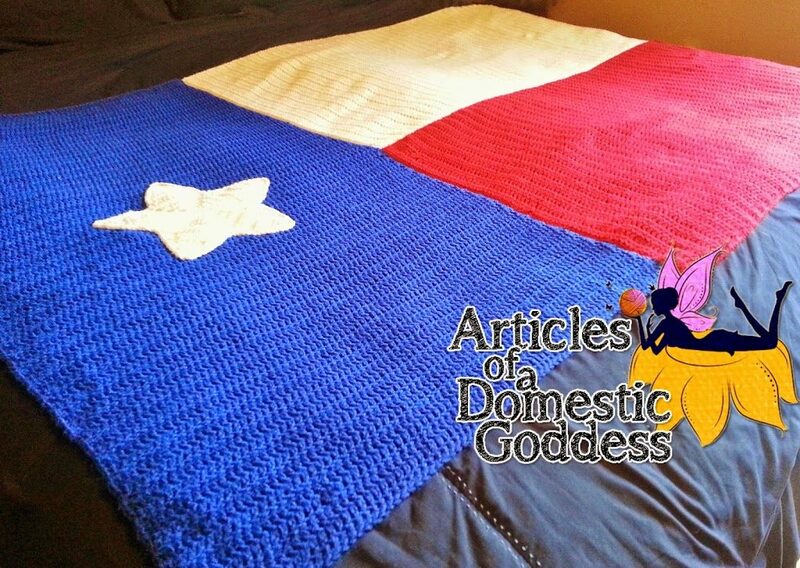 Worry no more, as below, you will find instructions for crochet afghans that will provide you with a detailed guide to the procedure. 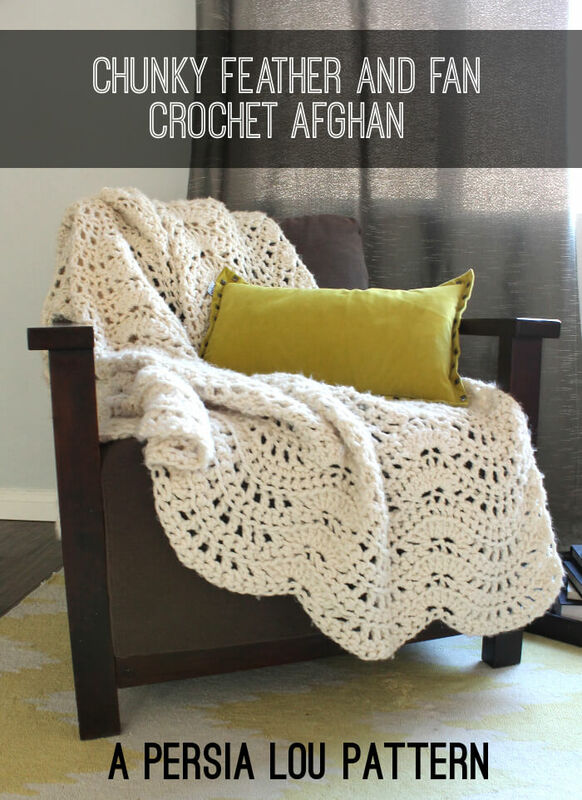 These DIY crochet afghan tutorials are easy and simple and will give you a number of Afghan ideas so that when you create them, people wouldn’t stop complimenting you on your creation. 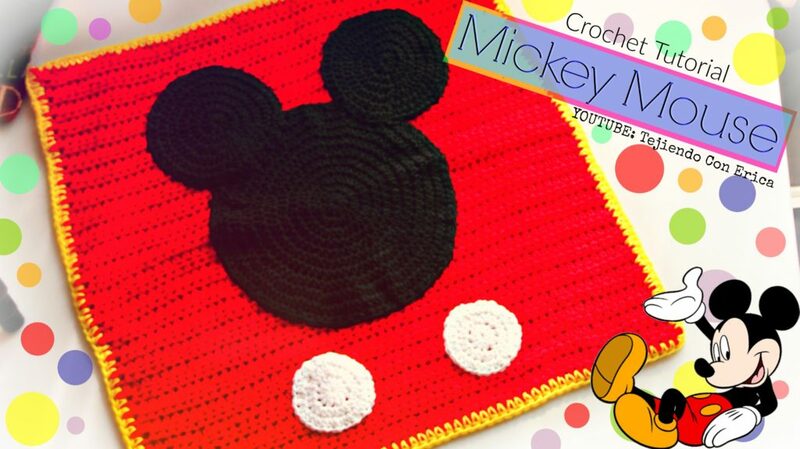 Why not make something bright for your baby? 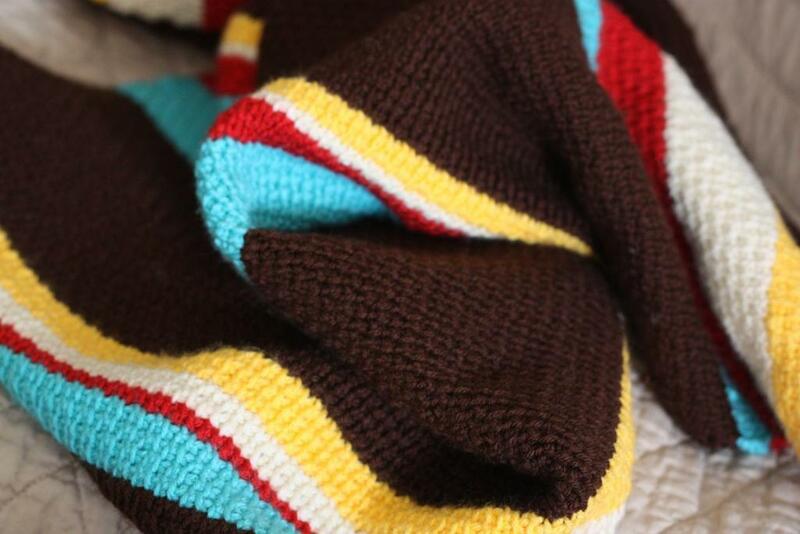 These soft Afghans have a color changing pattern, making them perfect to brighten up your baby’s room. 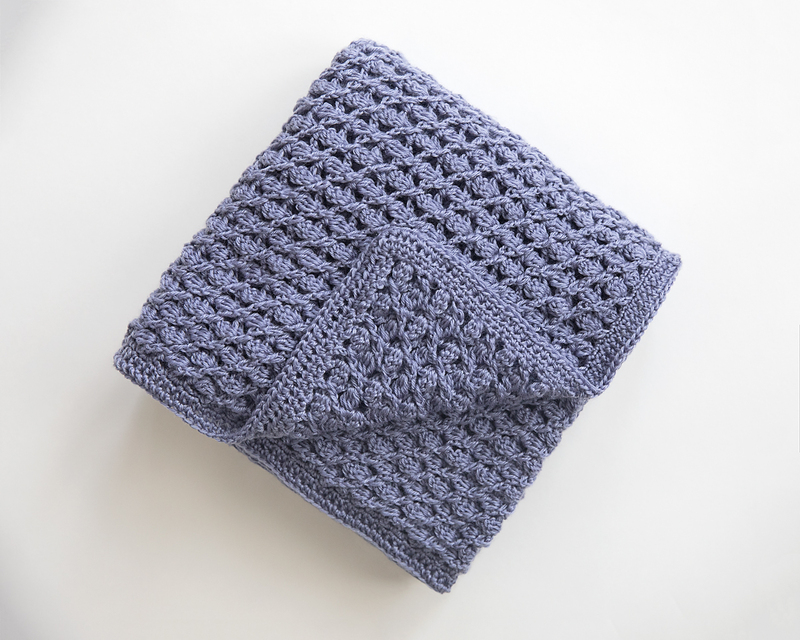 The easiest way to create your own blanket is to use simple stitches, like double or half double crochets. The devil lies in the detailing. 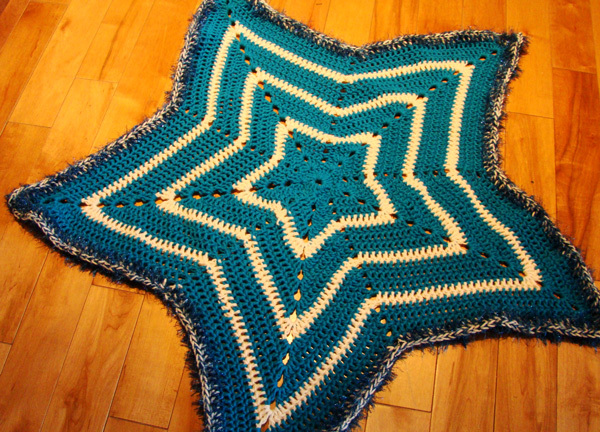 These beautiful star patterns are just the right thing to do if you are planning to gift the Afghan/ blanket to someone special. Just imagine the smile on their face. These are just amazing! 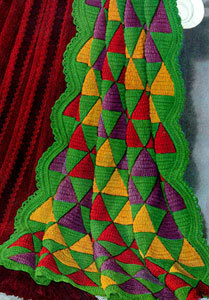 Try to incorporate two to three colors to bring out the gravity of the pattern. Aren’t the ripple pattern mesmerizing? Follow the DIY instructions, so that you can create them easily. It will be overwhelming for you to follow the harder more advanced patterns at the first go, so why not start with the basics? This step by step guide is designed for the beginners. You will get pictures and images to make the process easier. 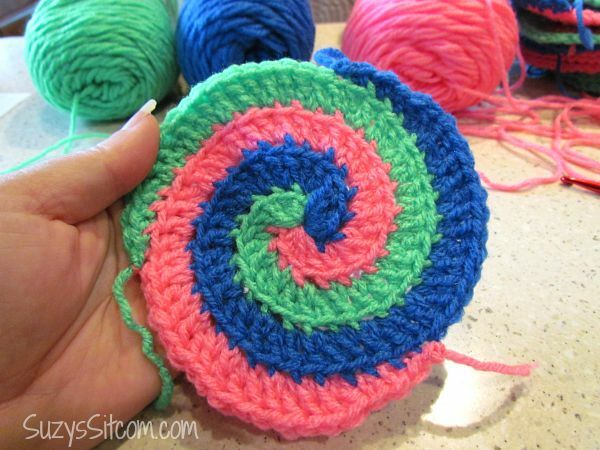 If you are not satisfied with the double crochet ripple pattern, then try this similar, yet different pattern. 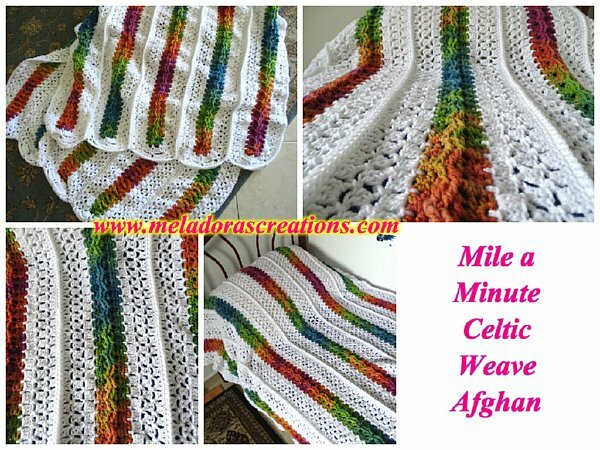 The tutorial will help you to get through the making process and you will have a fine afghan in your hand. Now, who doesn’t need a good tutorial with pictures? This step by step guide comes loaded with pictures that allow you to get a thorough guidance when you are making your afghan. 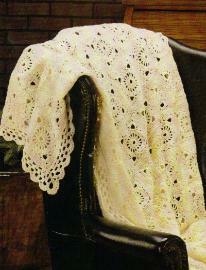 This crochet pattern is fantastic and what makes it more attractive is how easy it is to knit. 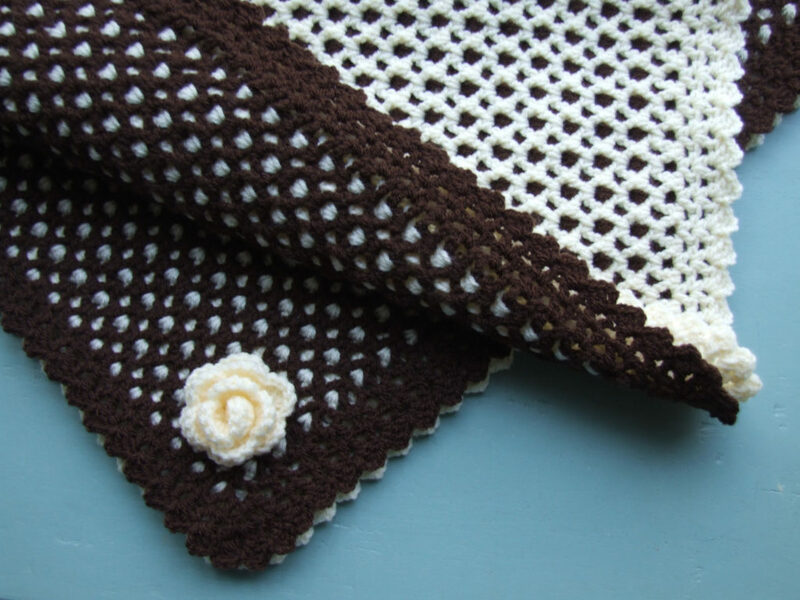 If you have a friend’s birthday coming up, surprise her with this Tunisian style crochet afghan. Sounds exotic, right? 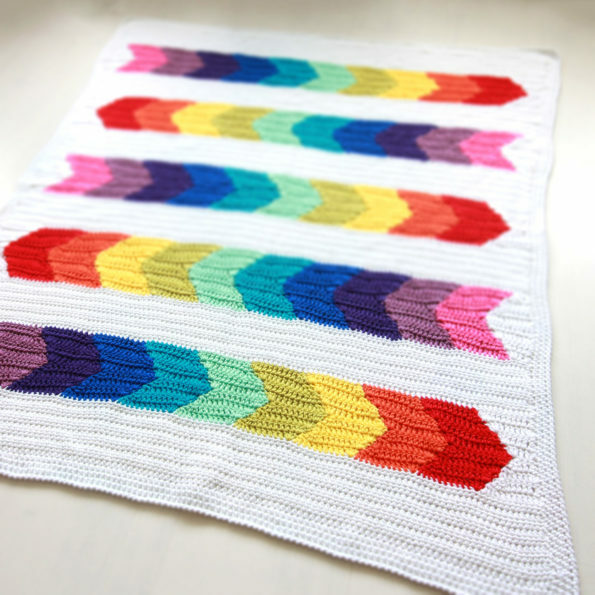 The great thing about this pattern is that you can make some amazing chic throws. 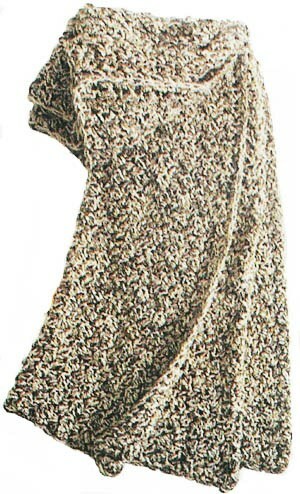 Follow the pattern and the style given and you will end up with a trendy throw, which you can wear to work in the winter. Okay, so you may have seen this pattern a hundred times, whether it is at your granny’s sofa or at your aunt’s house. This is a perfect time to knit one with your own hands and gift it to your grandma to replace the old one. Choose three distinct colors to get a striking piece of Afghan or choose three different shades of the same color to get a more soothing one. Make these to gift someone as you can’t miss the chance to see the look on their face. These are simple, yet stunning. A multicolor combination is much preferable as they bring out the zig zag pattern. 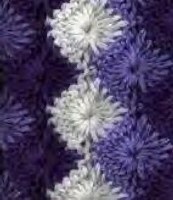 If you need a simple and easy crochet pattern on Afghan with homespun yarn, follow this tutorial. Ah! How beautiful are they? The round, circular design is just the thing for you to make to welcome guests into your house. 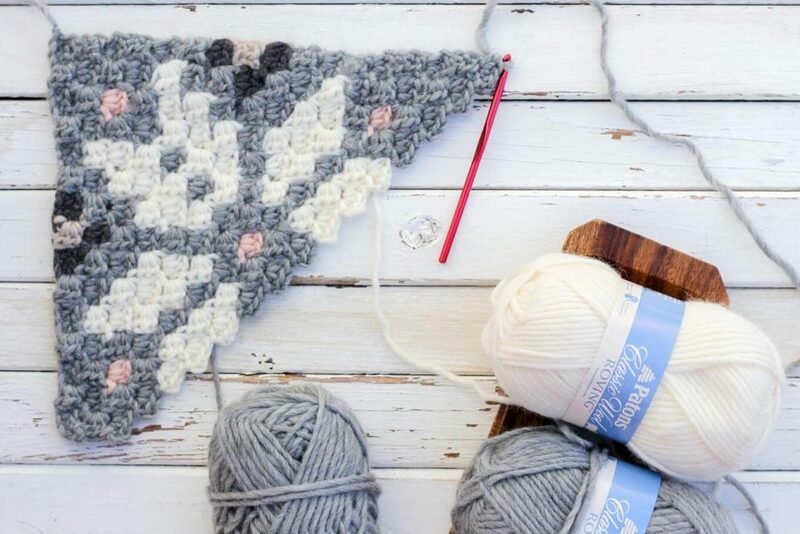 It is time to get creative and put some work into your afghan knitting with a single color yarn. The Instructables will guide you through the whole process. Make this for your kid. 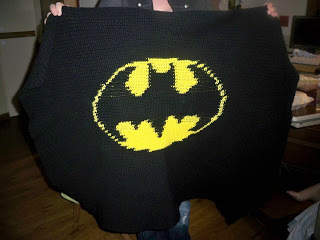 Your little Dark Knight needs his Afghan cape. Why not make these to welcome that little guest to your family? 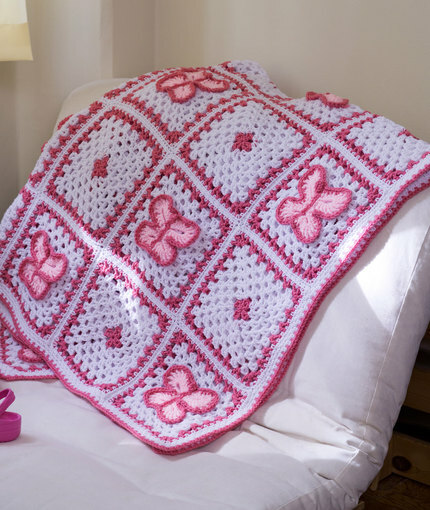 The pink ribbon just adds the bunch load of cuteness to the Afghan. 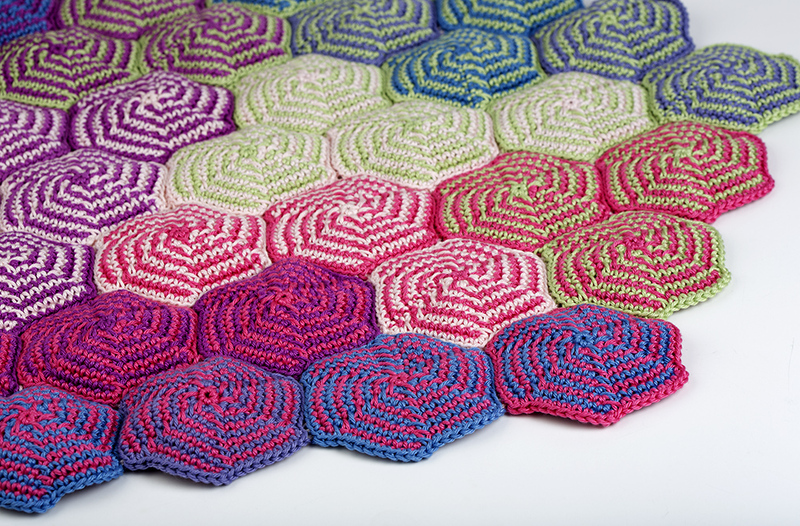 This pattern is hypnotizing, but that doesn’t take away from the fact that they are amazing! 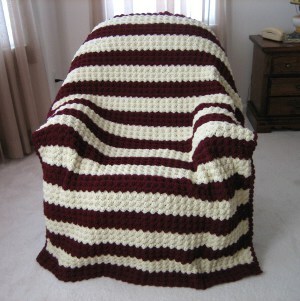 This site will provide you with numerous free crochet afghan patterns, complete with tutorials. 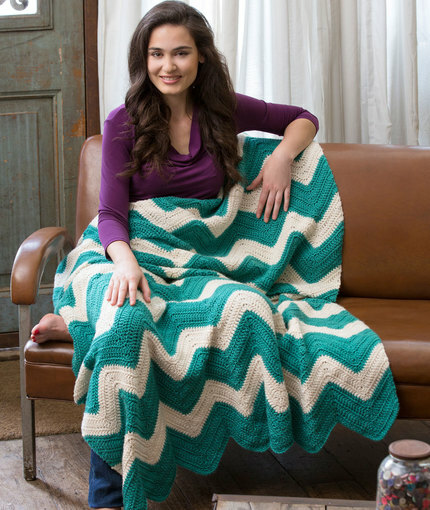 Make these fun Afghan by following the guide complete with pictures. 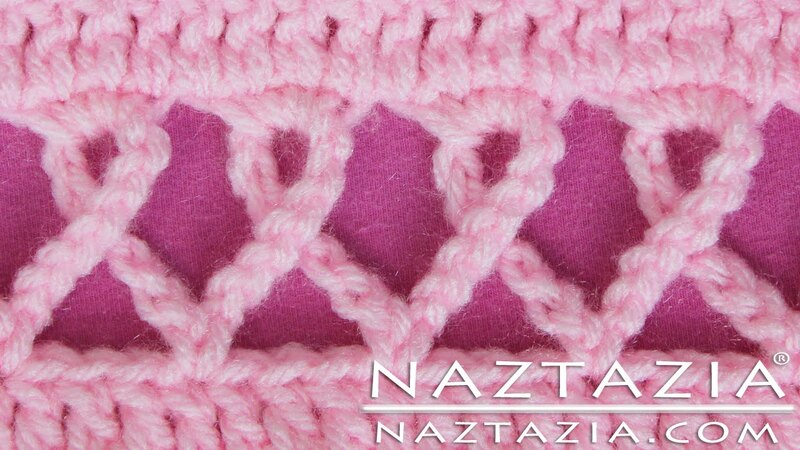 This pattern is popularly known as C2C Crochet Pattern. Now, isn’t that a design to reckon with? See how good they look. Make something like this to decorate your drawing room. The guide will help you in this. To match your art deco interiors, you will need a vintage style afghan and you can just make it yourself with this effective DIY tutorial. Geometric shapes and wool really go well. Want proof? 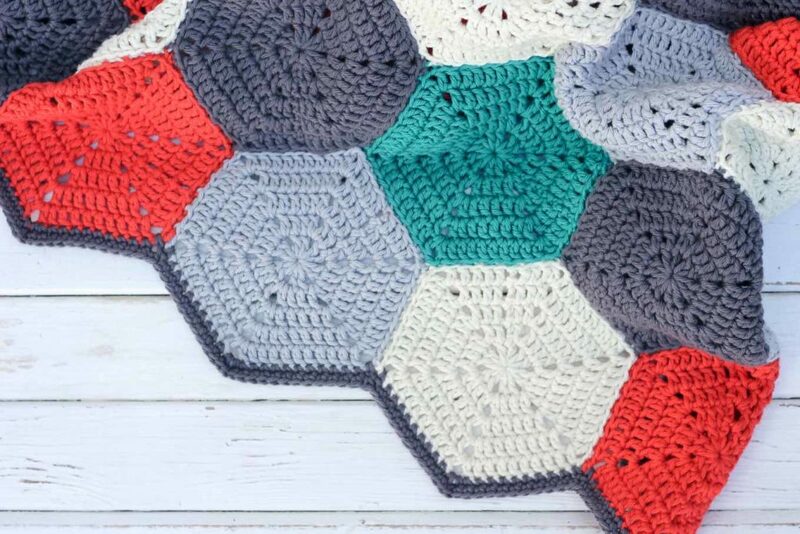 Make this hexagonal patterned afghan and you are sure to be satisfied. These designs are quite sophisticated. The best is that you can wear it with your jeans or gift it to your aging grandma. Do you live in Texas? 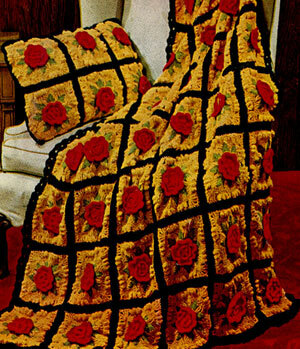 Then this is the perfect afghan for you. Show the love for your state and display them proudly in your living room. 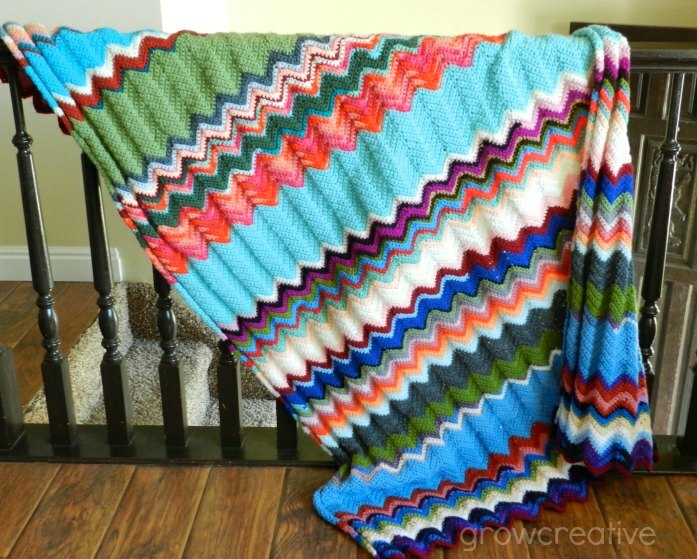 Follow this tutorial to make this amazing afghan for yourself. Stripes are always a nice welcome. Make them with the tutorial and some good color combination with a modern chic look. Red and white always looks so festive that you can’t ignore this pattern. Gear up for the holiday season already. 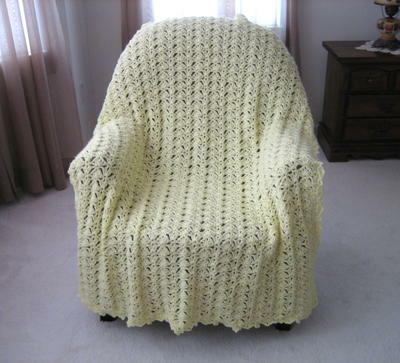 The free easy crochet afghan patterns are the ideal addition to your home or your closet. 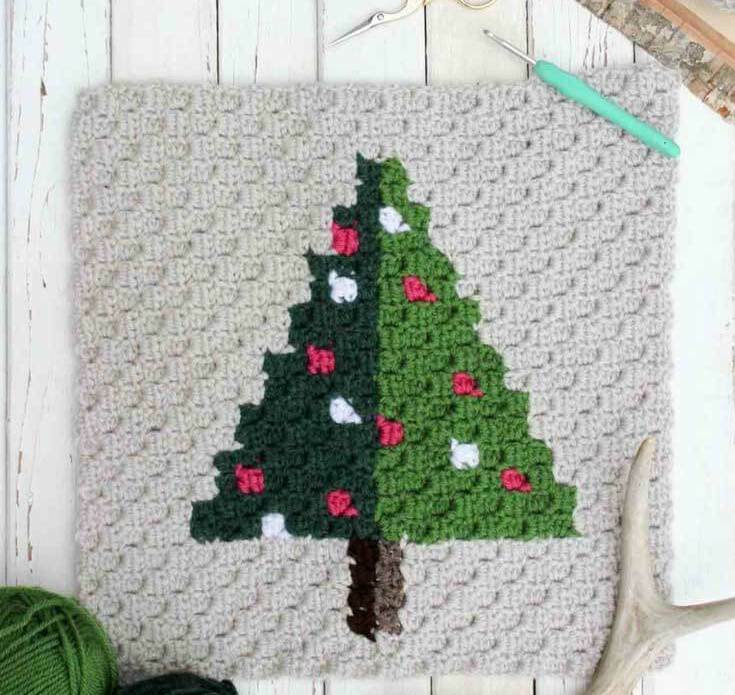 Spread the joy and love of Christmas with these Christmas afghans. This free and easy guide will give you a head start in your creation. The best way to create something unique will be to invent something from your own. 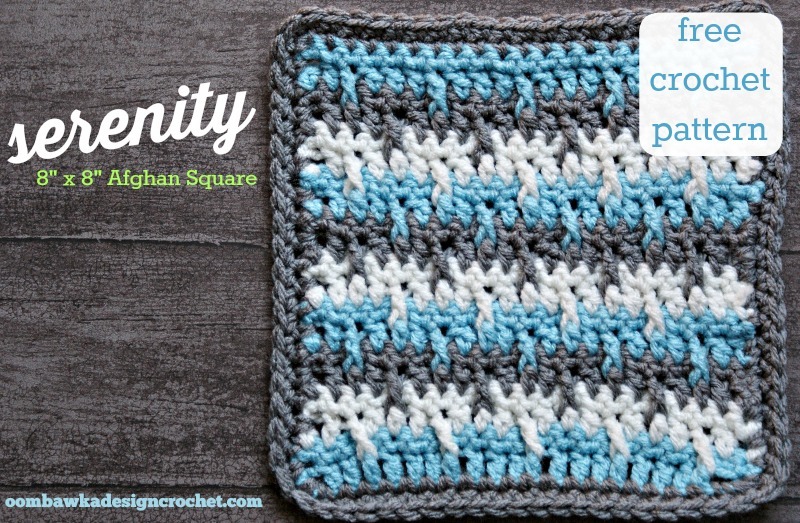 Until then follow the tutorial to stitch a unique afghan. This elegant design is everything. The magnificent beauty that this antique Afghan design carries is unparallel. And you can make them for your aunt or your mother for their birthday. 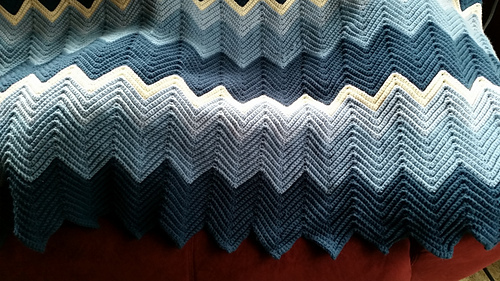 Using one afghan in two ways? Yes, this can be used on both sides and that is something your mother will absolutely adore. 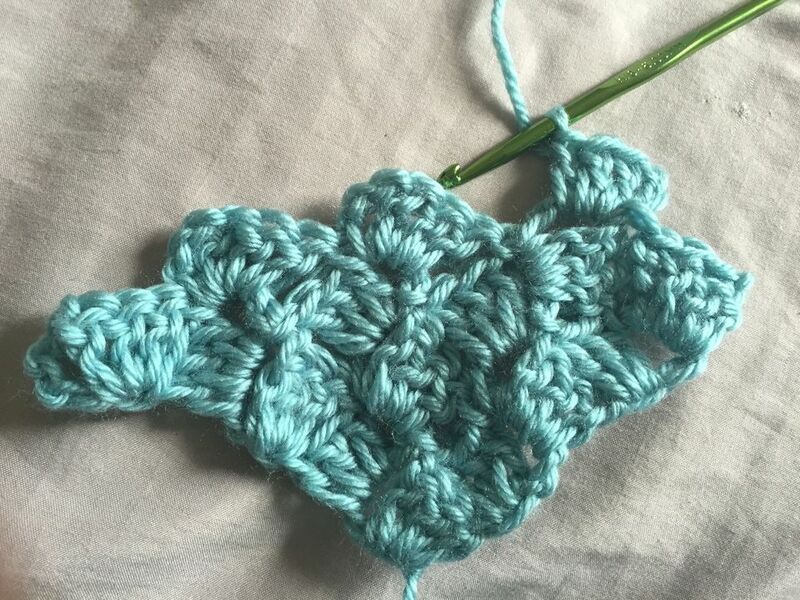 If you are wondering, how do I crochet hook patterns? Then wonder no more, as this DIY will give you every information you need. 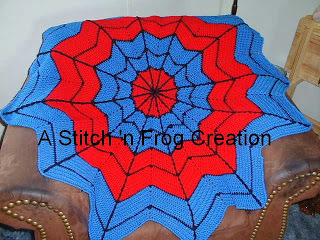 Give your little superhero the joy of his favorite superhero by knitting this Spiderman patterned afghan. 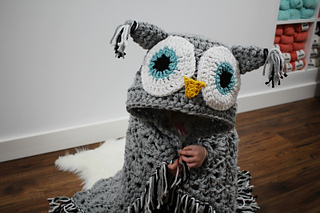 Just the perfect thing for the kids, who don’t want to wrap themselves, in chilly winter. A color is always something that we should have in our life. 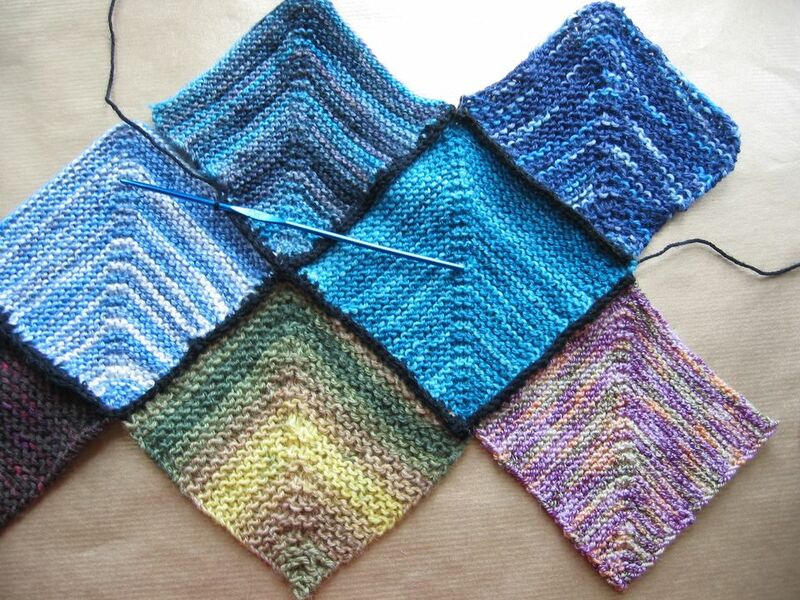 And what best way, but to knit an afghan that has all the colors of the spectrum. This is unisexual, so you can make them for your kids, your friends and even for your aunts and grandmas. This rose pattern will bring such an amount of satisfaction in the person, whom you are planning to gift it. They will treasure it all their life. Who said owls are ugly? Look at this pattern and see for yourself that owls are cute as a button. Make them for your kid and see how they love it. 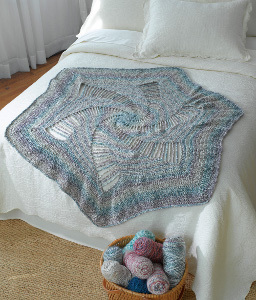 These Hooded Crochet Afghans will get them excited. 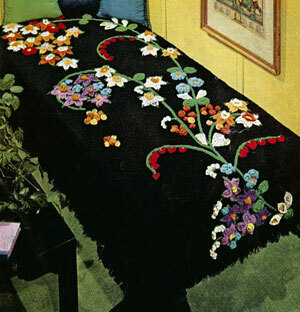 Butterflies are always beautiful and knitting them on an afghan is just the right thing to do. Adding crochet borders will look very pretty. 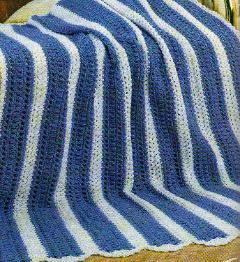 This unusual afghan pattern is sure to attract the attention of others around you and you can make this by following the DIY tutorial which also has pictures and images to give you a complete idea. Aren’t these just adorable? Make this for your kids or to gift someone on their birthday. The kids will absolutely love them and so will the adults. Cats are just adorable. And imagine how adorable they will look on an afghan. 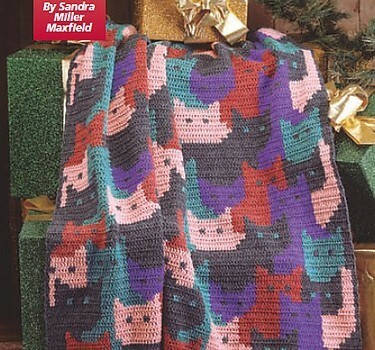 If you don’t know how to knit a cat on Afghan, then follow this tutorial. 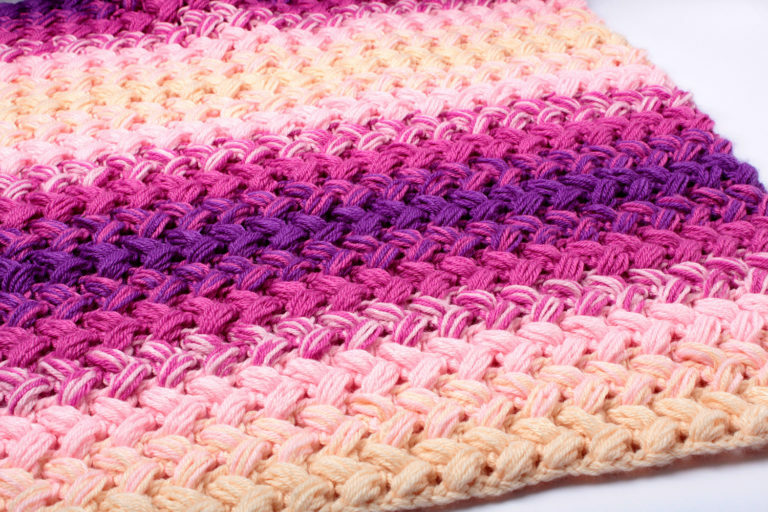 The crochet shell stitch is a beautiful stitch that has a number of variations, such as the v-stitch shell. 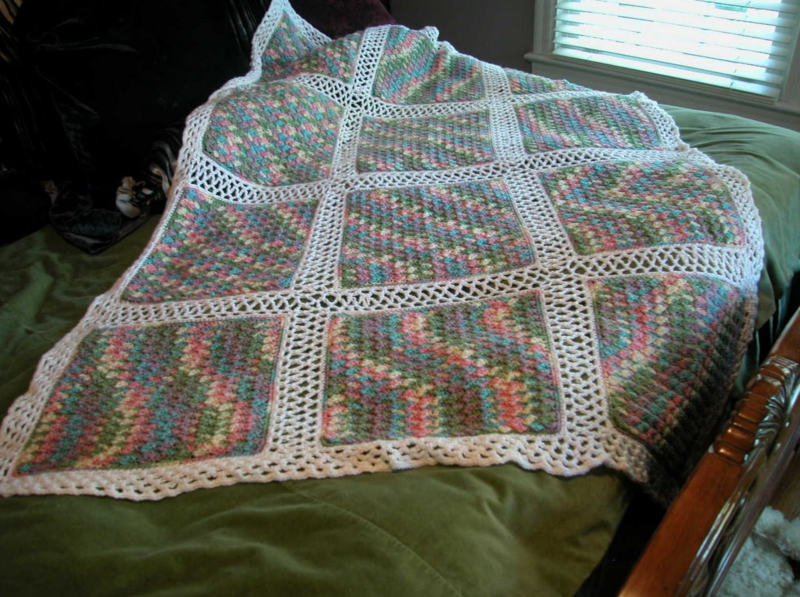 You are now in the possession of some great ideas, which you must now implement to create your own crochet afghan. 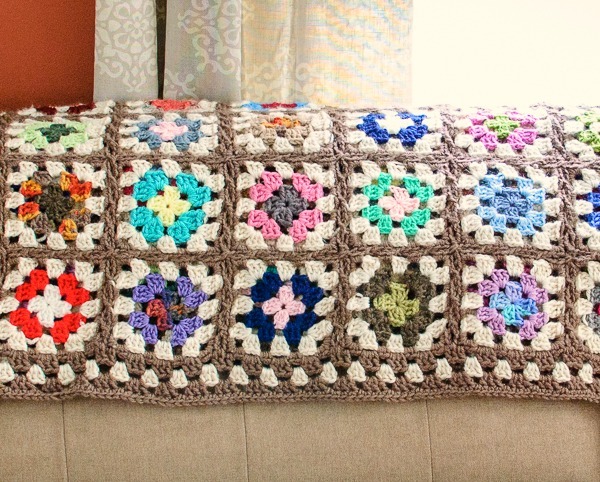 You should share your joy of making these afghans with your family and friends. How can anyone feel the true beauty of joy, if they can’t share it? 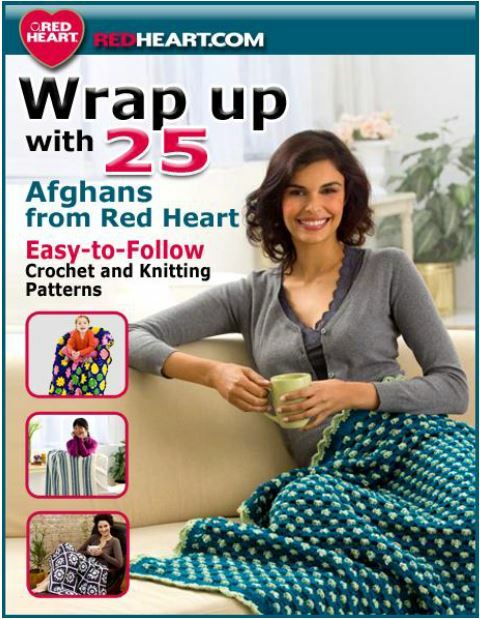 Make these Afghans and gift them to your loved ones and see how they love every inch of the effort you have put in them.